Bradford Networks offers the best solution to enable secure network access for corporate issued and personal mobile devices. The company’s flexible Network Sentry solution is the first network security offering that can automatically identify and profile all devices and all users on a network, providing complete visibility and control. Unlike vendor-specific network security products, Network Sentry provides a view across all brands of network equipment and connecting devices eliminating the network blind spots that can introduce risk. Network Sentry is now used by more than 800 enterprise customers worldwide in markets such as healthcare, financial services, retail, government, education and more. 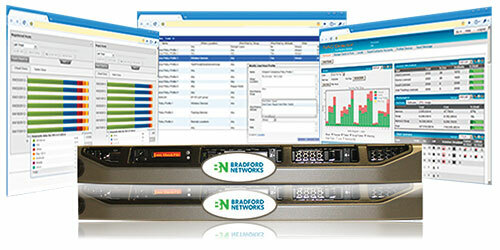 Bradford’s Network Sentry™ greatly enhances security and automates IT operations, enabling organizations to effectively manage security policies and secure critical IT assets. Learn more about Network Sentry!